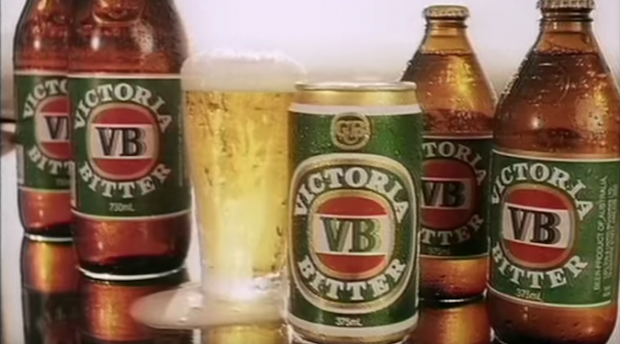 Victoria Bitter has invited the people of Australia to refresh its 50 year-old iconic anthem. The best submissions will be compiled to create a new ad that will be rolled out digitally this summer. The first ad featuring the iconic brand tagline ‘a hard-earned thirst needs a big cold beer’ appeared in 1968. Since that time, the popular ads have depicted tradesmen, farmers, sportsmen and men performing other physical activities working up a thirst and quenching it with VB. Contestants can submit entries via Facebook, Instagram or Twitter using the #VB50yearsofcheers hashtag. “VB is calling on rockers and rappers, singers and soloists, or just anyone to have a crack, to enter,” says a release. “Whether it’s whistling on one of our amazing beaches, tapping your finger on the kitchen counter or singing to your partner in front of the OperaHouse, we want to see it and feature it in our new ad,” says Jellie. The hunt for a new rendition was officially launched yesterday in Melbourne, with takes on the classic from opera singer Maddie Featherby, brass band Horns of Leroy and rock group Diet. Originally appearing as the theme for the 1960 western The Magnificent Seven, the tune was composed by Elmer Bernstein. VB and the full CUB range is – like all big Australian beer brands – losing sales and market share to craft beers and overseas imports as modern beer drinkers favour variety over brand loyalty. This new campaign may be an attempt by VB to broaden its appeal from mostly blue-collar-working males, to a wider audience.